Before the missionaries arrived, the Guaycura lived in the Loreto area, and the Baja Peninsula was thought to be an island. Jesuits founded the first mission to the Californias in Loreto in 1697. Meaning well, they introduced agriculture and dependence on foreign aid, and unwittingly eroded the knowledge base required to subsist in the challenging desert environment, and the native population mostly died out after the missionaries left. However, a ranching culture grew out of the intermarriage of the missionaries’ military force with the local women, and still exists in the surrounding mountains. 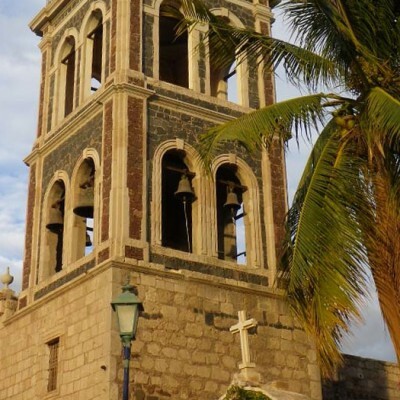 Loreto was the capital of the southern state of the Baja Peninsula, Baja California Sur, until a hurricane in ravaged the town, after which the capital was moved to la Paz. The sea has provided Loreto’s economic base. First, sharks were captured from dugout canoes. Pearl oysters offered another boom. Fly-in sport fishing had its time. 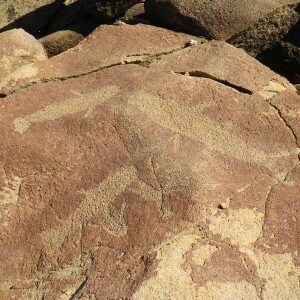 The paving of the Baja highway in the 1970s brought an influx of tourism that continues today. Loreto was slated for luxury mega-development on the order of Cancun and Mazatlan. In the 1970s an airport and an elaborate port facility were built before the development shifted to Los Cabos. Meanwhile, Loreto has developed an eco-destination identity. Citizens of Loreto petitioned the government to designate a National Marine Park among the nearby islands. In 1996 the National Marine Park of the Bay of Loreto became the first citizen-requested national park in Mexico. It is a valuable tool for managing local resources with an eye to sustainabilty. A number of organizations unite their efforts for the longevity of the natural systems that support Loreto and its nature based tourism. In 2005 UNESCO recognized the islands of the Gulf of Mexico (Sea of Cortez) as a World Heritage Site. In the 1960s Tim Means started bringing tourists south of the border and founded Baja Expeditions. Soon thereafter, Trudi Angel founded Paddling South in Loreto. In 2015, seven kayak companies have permits to work in the Loreto National Marine Park, including Sea Kayak Baja Mexico. Pick yourself a trip, and paddle it with us!